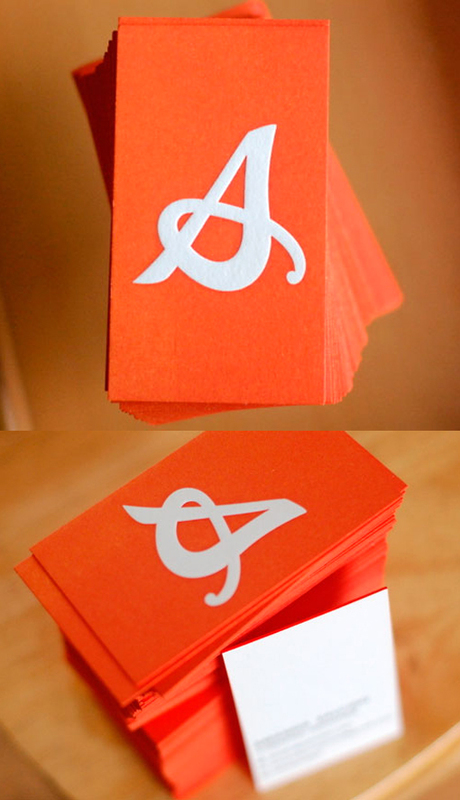 When Amanda Salcido designed her own personal logo she used her initials 'A.S.' to make a beautiful and clever monogram logo which combines the two letters into one. Her business card design uses this logo and shows it off to its best as the main feature. The use of bright orange for the front and edges of the cards makes the cards very hard to ignore and shows that minimal design definitely doesn't have to be staid or boring. Amazingly these cards were very economical to produce and cost only ten cents each - a great professional looking result on a budget.